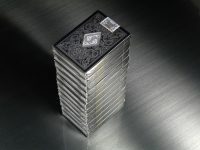 Version 2.0 of the Legends deck in an exclusive Metallic Black. 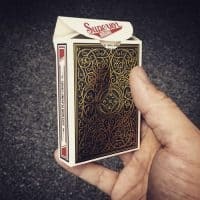 Limited edition deck, available exclusively from Conjuring Arts, inspired by the iron horse letterpress machines of the late 1800’s and early 1900’s. A stunning way to protect your decks! Lightweight aluminum with a durable black powder coat that we engraved Superior and our Skull & Bones Back design into. 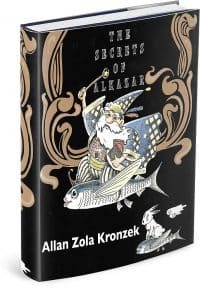 Limited to 850 decks in a magnificent slipcase! For the first time ever Spot UV and Foil on the backs of the cards! This deck is a game changer. Get ready for Superior card handling with Robusto! Get ready for Superior card handling AND astounding full FOIL backs with Robusto Classic Reserve! A distinguished, FOIL, ultra luxurious addition to the Zen playing card line. Carbon Clip V2.0! Only $99 postpd worldwide.